This Sky Guy blower has a tilting base for installing sky guys and sky tube dancers on a pitched roof or if your sky guy or tube dancer blower is being set up on uneven ground. You can also use this adjustable sky guy blower if you regularly experience high winds. Use the adjustable blower to tilt your sky guy or sky tube dancer into the wind so your dancer will stand up even when it's windy. 3/4 hp high output commercial grade vortex sky guy blower. This blower will blow tube dancers up to 70' tall and sky guy dancers up to 40' tall. Two speed, tilting base. One-year warranty. 18" diameter with hook velcro installed for attaching sky guys and sky tube dancers. 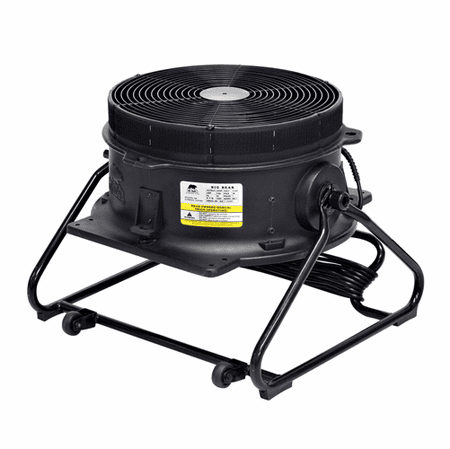 This blower has a tilting base for installing air dancer on pitched roof or if your tube dancer blower is being set up on uneven ground. Two speed sky guy blower for tall or small air dancers.